James Pope Melville was born 31 January 1873 at Shellback, Shortland, New Zealand, the son of James Pope Melville and Isabella MacKenzie. He married Florence May Elvy (1877-1967) 27 March 1901 at Darlington, NSW, and they had three sons and two daughters. His father in law was William Elvy and his brothers in law were Arthur Elvy and Albert Elvy. Melville died 14 July 1947 at Kogarah, late of Sans Souci, aged 75 years, and he was cremated at Rookwood Crematorium. He left no Will. Melville lived at 150 Rose Street, Darlington. James Pope Melville was a Freemason and a member of MU100F Lodge No. 633, Sans Souci. He was a member of the Darlington Political Labor League in 1897. 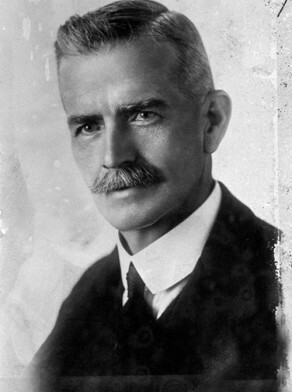 James Pope Melville was an alderman on Darlington Council in 1917-28 and 1931-34. He was mayor in 1920, 1927-28 and 1931.